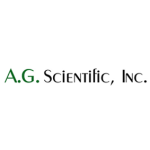 A.G. Scientific has grown to provide starting materials for Active Pharmaceutical Ingredient (API) manufacture, critical diagnostic chemicals, medical device reagents and downstream bioprocessing reagents. A.G. Scientific has demonstrated particular success in producing and supplying novel fermentation and naturally derived products including enzyme inhibitors, gene selection antibiotics, and reagents for protein purification. We are very proud to be part of this larger effort to improve medicine and the well-being of our society as a whole. Our clients can be confident that their projects are being handled in a comprehensive and confidential manner. Contact us with your specific need and let us dedicate our expertise to your project.